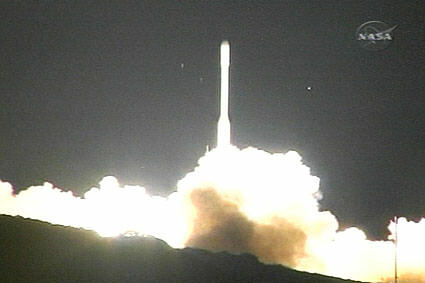 [/caption]This morning (Tuesday), shortly after 2am PST (10am GMT), the launch of Orbiting Carbon Observatory (OCO) mission resulted in failure. According to reports from NASA, a “launch contingency” was declared shortly after the Taurus rocket upper stage finished firing T+12 minutes, 30 seconds into the flight. The rocket nose cone fairing failed to separate as … Continue reading "Orbiting Carbon Observatory Launch Failure"